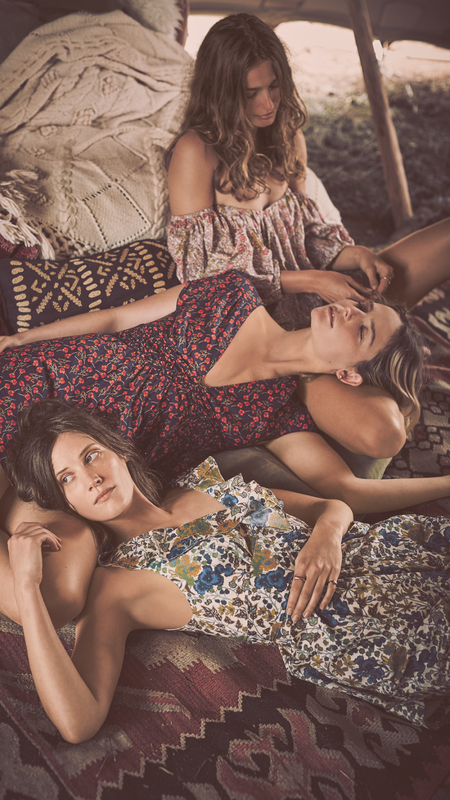 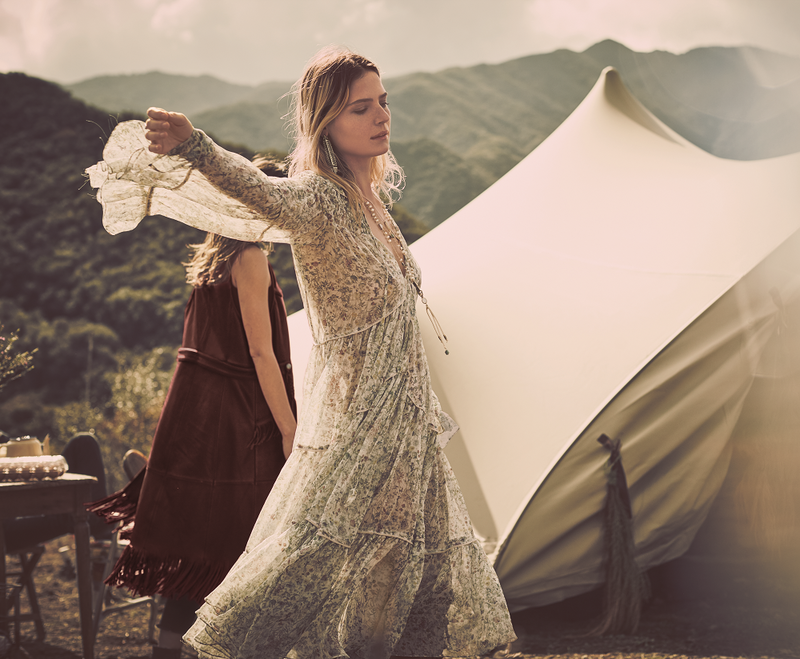 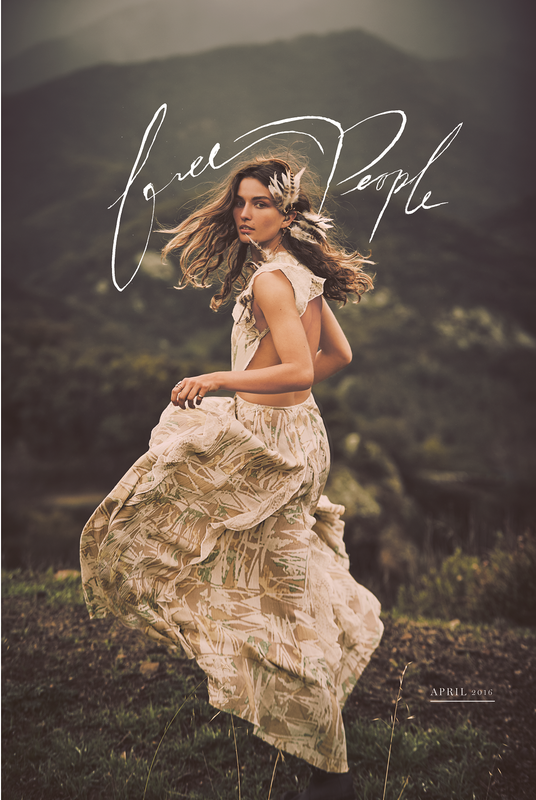 Free People's April 2016 lookbook fulfills the perfect festival fantasy with models Andreea Diaconu, Drake Burnette, and Camilla Deterre. 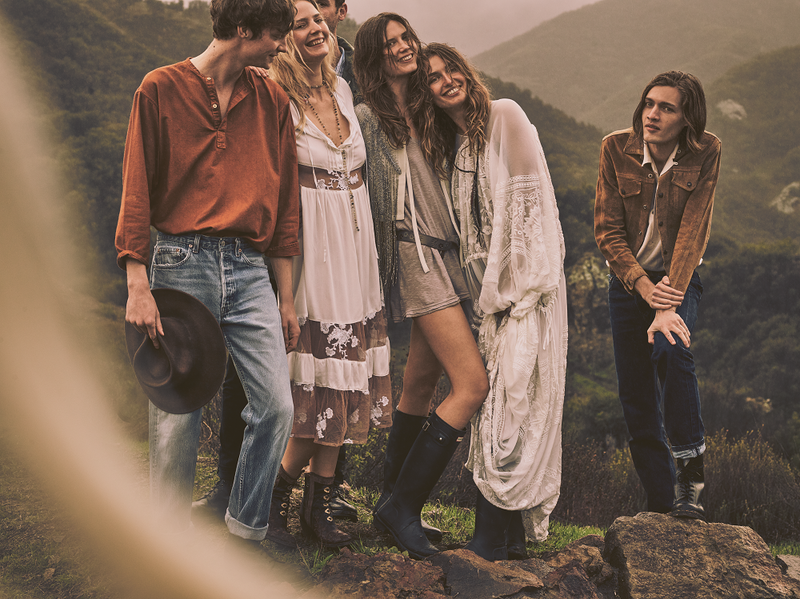 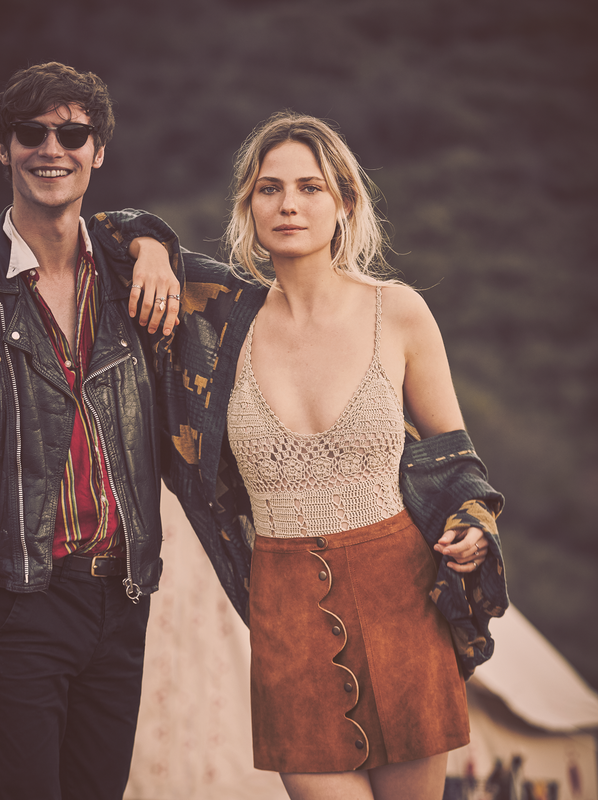 With a strong emphasis on layering, the lookbook features earth-toned long dresses, to-die-for jean shorts, embellished jackets, two-toned bell bottoms, versatile suede skirts, crocheted tops, one-of-a-kind kimonos, and lots of fringe. 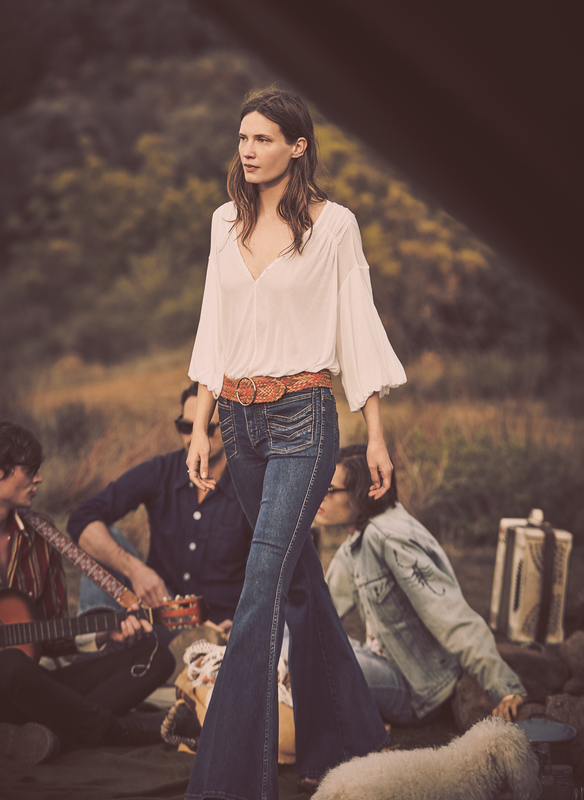 As always, accessories play an enormous role in completing these looks. 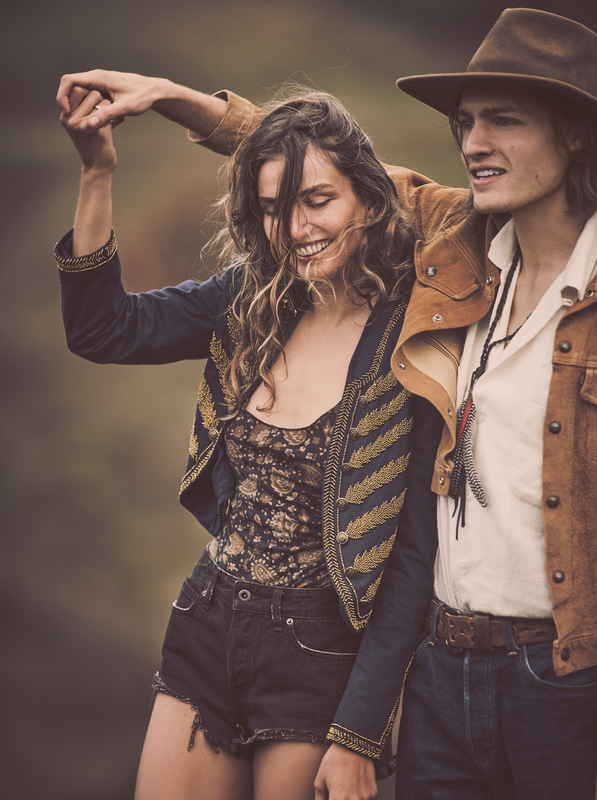 Expect to see tasseled long necklaces, understated rings, suede booties, rebellious hanging earrings, colorful belts, and temp tattoos.